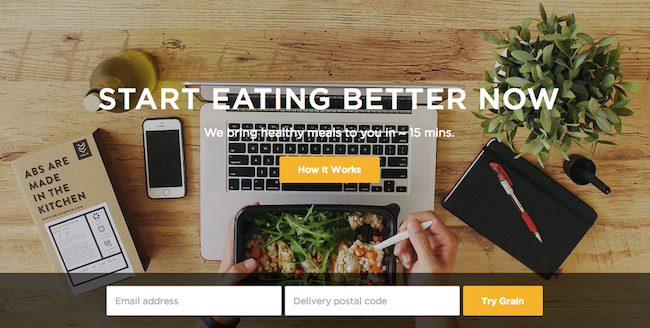 Grain Wants To Be The Uber For Healthy Food In Singapore's CBD Area! Grain, the company we wrote back in May which started as a subscription based healthy food service, has just relaunched as an on-demand service allowing anyone to order directly from their website instead. What does this mean? This means that now when you feel like eating a delicious healthy lunch, you can hop onto their website, choose from the ever-changing daily menu and one of Grain’s drivers will meet you at the driveway with your food. 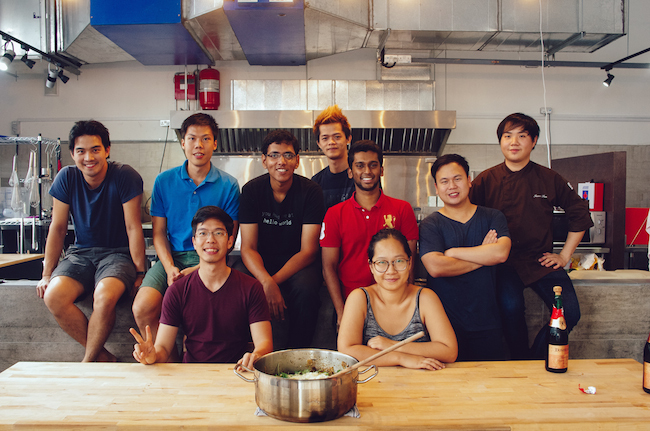 Put it simply, Grain aspires to be the Uber for food. “We started out as a subscription-based health service and since then we’ve decided to expand our reach with an on-demand model. Starting with the Marina Bay area,” founder Yong Yi Sung told us. For any businesses, it is common for changes in model and direction after getting feedbacks from the customers. It helps make businesses better. While the original subscription model was working out well for the team, quickly reaching about 100 paying customers per day without any active marketing, the team had a nagging feeling that there was a glass ceiling. Sung shared the rationale was that customers may be subscribing out of novelty, and keeping each customer required getting their preferences right and a lot of variety, and this will be hard to do with scale and once it reaches too many customers. “We also had been sitting on the idea of an on-demand model for a while, letting customers buy as and when they want from our site instead of keeping to a daily or weekly subscription. After a series of discussions, we decided this was the more scalable track as it allowed us to streamline production a lot better,” added Sung. So far, the team has sold over 4000 meals to customers. 4000 healthy meals. The team, led by Sung, has experiences from Bain, Accenture, Method and their chefs have worked with some of the world’s top restaurants, including Mugaritz, Jaan Par Andre, as well as Raffles Hotel. Health Conscious? S’pore BoxGreen Delivers Monthly Healthy Snacks To Your Doorstep! Currently, you can order healthy food from the website daily. 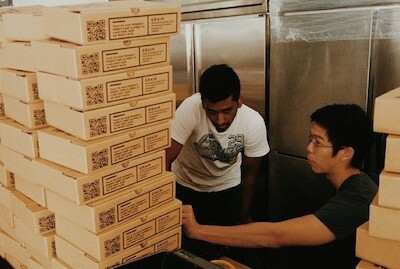 Everyday it changes, and the team has been focusing on customers ordering lunches. To add more selection to customers, last week the team also added dinner options for customers who might be working overtime at the central business district area. Also added onto the menu are cold pressed juices for customers. While there are plans to expand the menu, the team believe in the paradox of choice, so this is “trickier than it sounds”. Paradox of choice suggests that eliminating consumer choices can greatly reduce anxiety for shoppers. 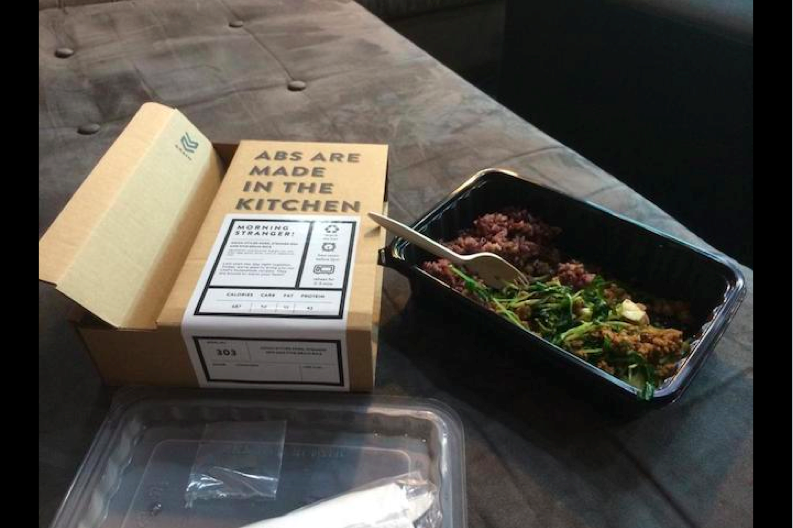 Boxes filled with healthy meals! Definitely sounds like the company puts a lot of emphasis on its customers. Its focus on the element of surprise speaks volume to that: you can’t see the week’s menu in advance because they “prefer to surprise” you. And while you can’t order in advance, Grain promises that it only takes about 15 minutes from ordering for the food to reach you. So, who can use a healthy surprise?